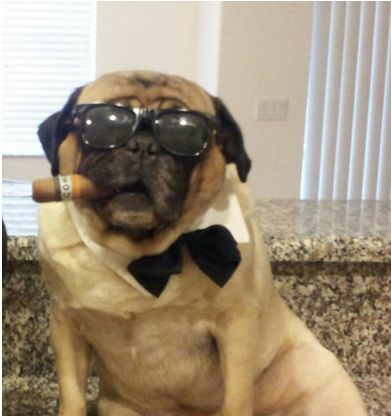 Cigar-wielding pooch wins pet photo contest at Suncoast Schools. A pic of this pug from Marie R. of Hobe Sound, Fla., was a winner “best dressed” honors in the “Paw-Parazzi Photo Contest” put on the by the $5.2 billion Suncoast Schools FCU of Tampa. More than 3,000 photographs were submitted to the 536,000-member credit union’s Facebook page for the contest.